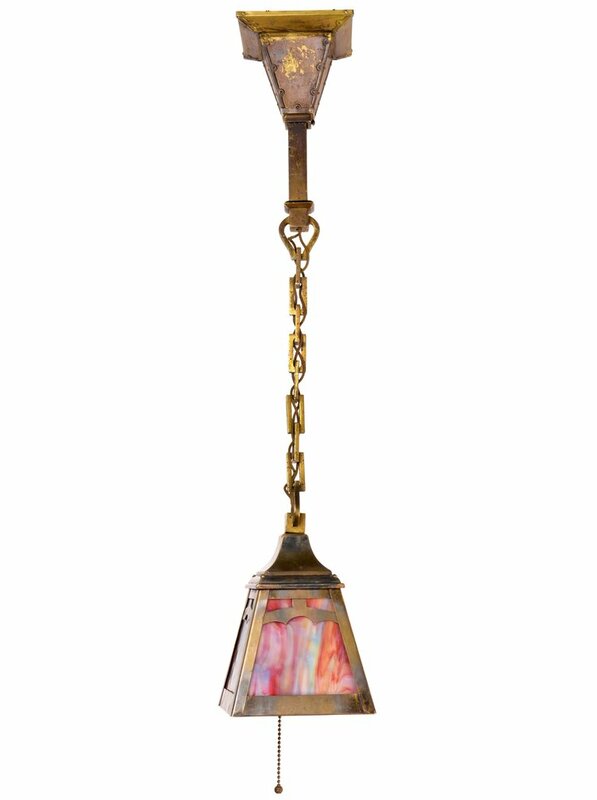 Boasting an illustrious lifespan of nearly half a century, the Handel Lamp Company was one of the early 20th century's premier lighting companies. The company began in 1885 as a partnership between Philip J Handel and Adolph Eydam, before Handel bought out Eydam's share and opened a showroom in New York City. The Handel Company was best known for their reverse-painted lamp shades, which were produced from 1906 until the 1920s, when Art Nouveau began to wane in popularity. These highly collectible pieces were marketed to upper-middle class families, and offered interchangeable shades and bases to suit the owner's preferences. Unfortunately, the company closed in 1936, two decades after the death of Philip Handel, after ownership passed through several family members' hands. Today their lamps still command impressive prices at auction, in recognition of the highest quality craftsmanship that went into their creation. 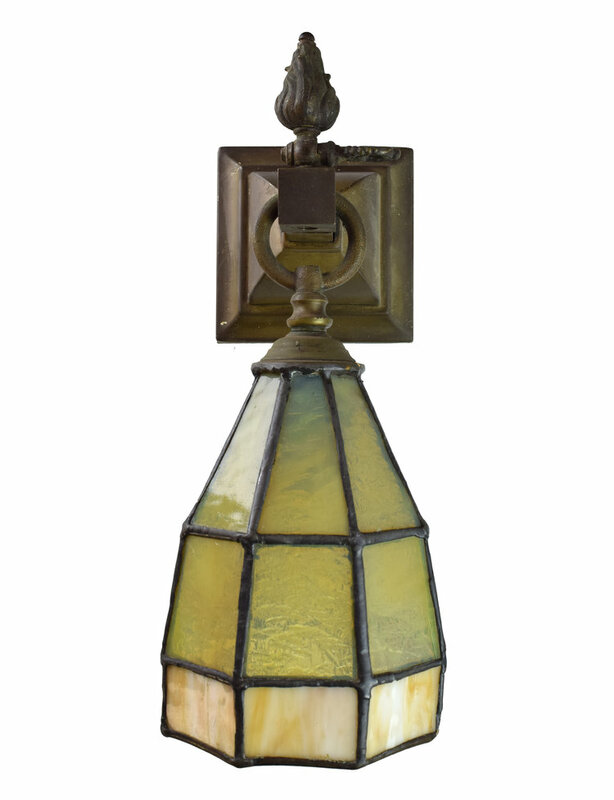 Handel lamps have become family heirlooms, collectors' items, and highly sought-after home decor pieces. In fact, several celebrities have owned Handel lamps at some point, including the late actress Carrie Fisher and singer Linda Ronstadt! In interviews with Architectural Digest back in 2004, the two women independently included the lamps in their exclusive tours of their homes. Linda Ronstadt's are family heirlooms in the living room of her Tuscon, Arizona home. Carrie Fisher received a Handel lamp from George Lucas as a form of payment for "writing an episode about young Indiana Jones losing his virginity to Mata Hari," and it sits in her Beverly Hills living room. In local history, the Glensheen Mansion in Duluth, Minnesota features Handel pendant lights above the billiard table. The Congdon family built the 39-room home between 1905 and 1908 on their beautiful 12-acre property right on the shores of Lake Superior. Chester Congdon was a major player in the Mesabi Iron Range in northern Minnesota, and within Duluth the family was known for donating land intended for public use, such as today's North Shore Scenic Highway and Congdon Park. The estate was donated to the University of Minnesota-Duluth and opened as a historic home museum in 1979. Their Handel lights (below, on the left) are nearly identical in design as the mission style sconces we have in store (below, on the right). For anyone looking to incorporate a little Minnesota history into their home, these sconces would be an excellent way to pay homage to a family whose contributions to the state are still visible today. In our own inventory, we are excited to share four lights that have been attributed to Handel, including a matching chandelier and sconces! These would all look beautiful in an Arts & Crafts home, or one that wants to incorporate an Arts & Crafts style.